We started this site to share the beauty of Redmond, Oregon. With the crowds and traffic stacking up in other big name Central Oregon destinations, we found that Redmond (plus the surrounding towns like Tumalo, Terrebonne, Smith Rock, and Eagle Crest) are off-the-beaten-path alternatives with just as many amazing things to do and explore. Check back here to learn more about Redmond and the surrounding area. We’ll be covering where to hike, walk, bike, and explore the trails; and where to eat and drink to enjoy Redmond’s best restaurants and breweries. We are J & M, a married couple in our mid-thirties who love to travel. We’ve made Redmond, Oregon our home base because of the sunny weather, beautiful mountains, hiking, and other outdoor activities. 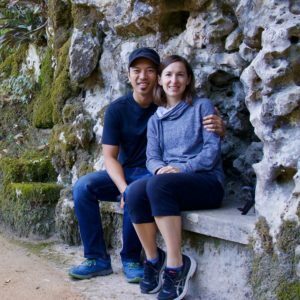 We are freelance content creators, travel bloggers, and digital nomads. If you have a tour or destination in the Redmond area that you’d like us to cover more in depths on this site, please visit our Work With Us page.